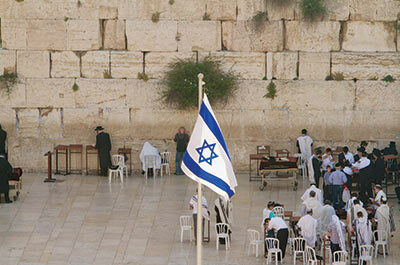 Israel | Travel Israel | Holy Land Travel | Vacation Package Israel | Holy Land Tours | Gate 1 Travel - More of the World For Less! 8 Day Essential Israel Book By Jun 13, 2019 & Save! 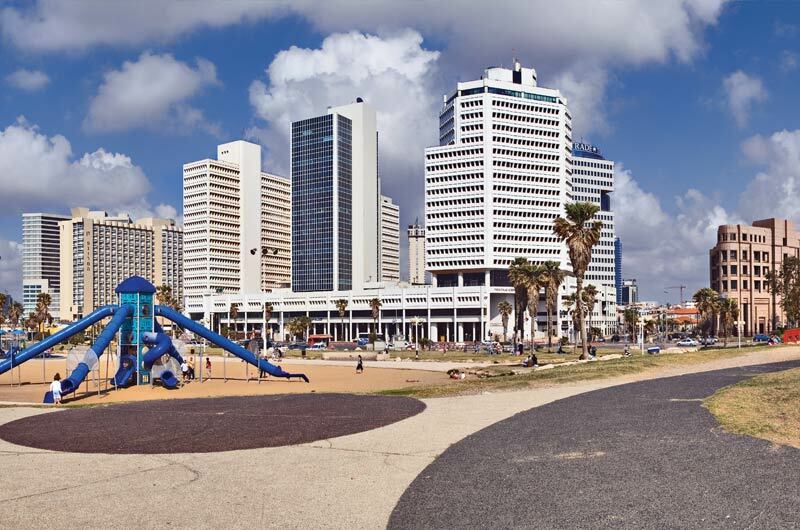 8 Day Essential Israel (Toronto Special) Book By Jun 13, 2019 & Save! 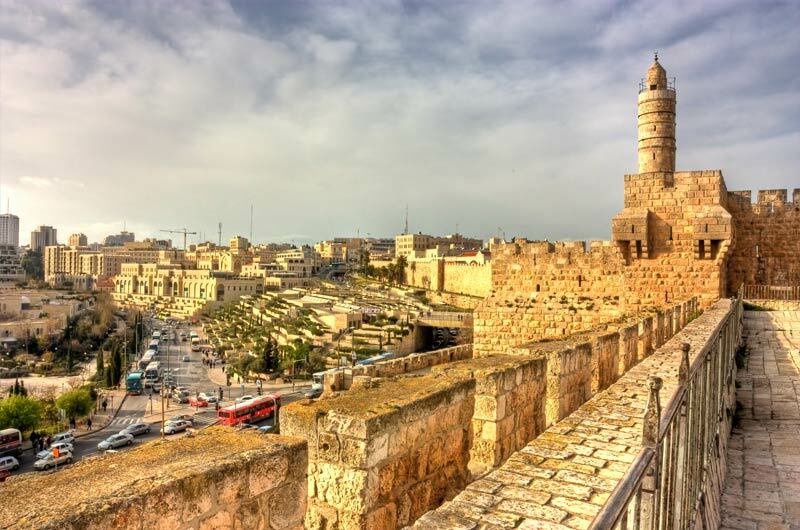 9 Day Israel, A Journey for the Believer Book By Dec 12, 2019 & Save! 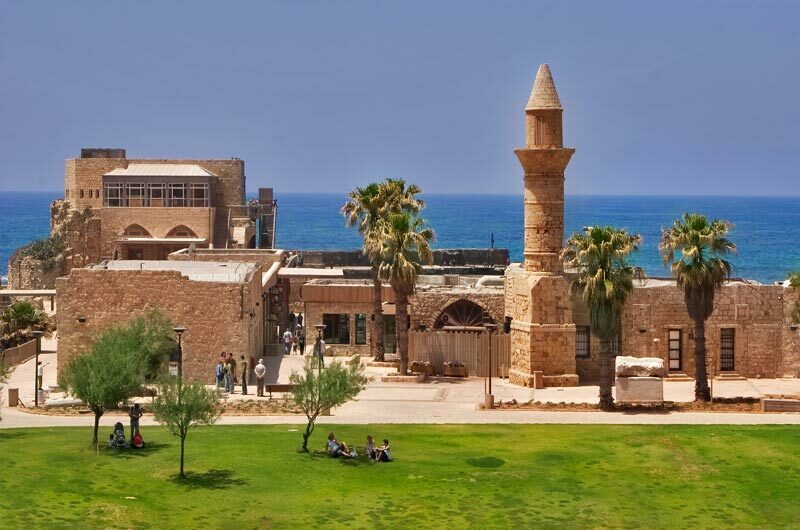 10 Day Affordable Israel Book By Dec 12, 2019 & Save! 11 Day Classic Israel Book By Dec 12, 2019 & Save! 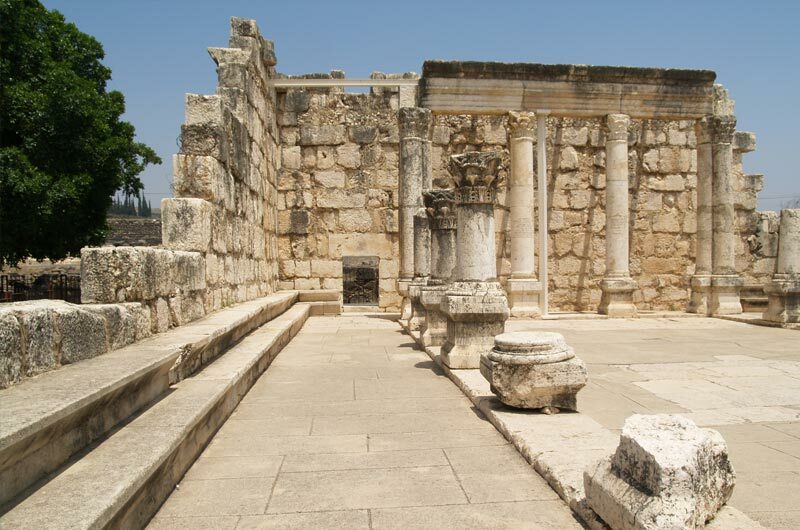 13 Day Essential Israel & Jordan Book By Jun 13, 2019 & Save! 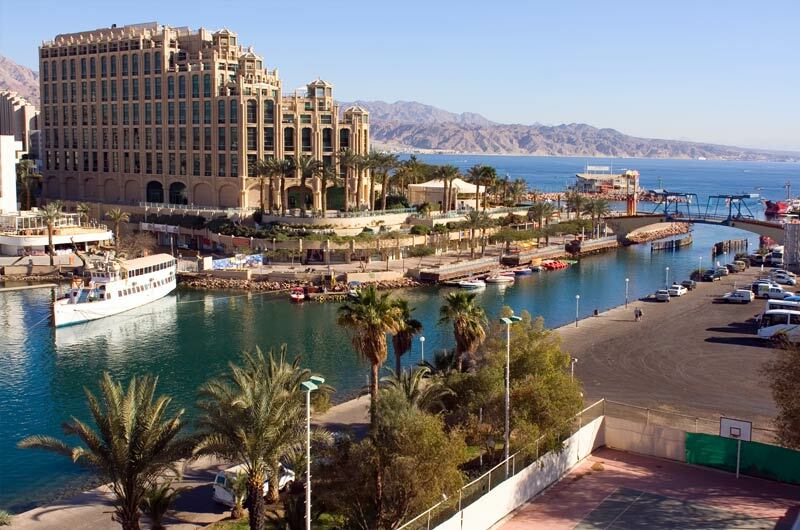 14 Day Affordable Israel with Eilat Book By Dec 12, 2019 & Save! 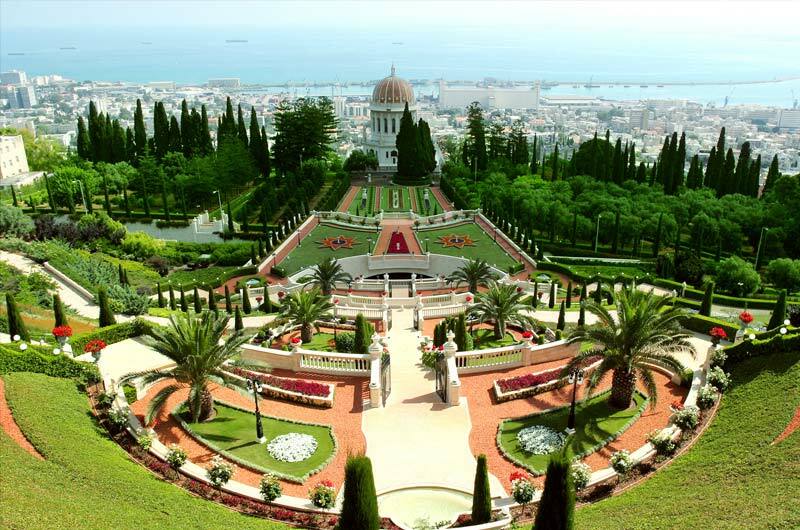 15 Day Classic Israel with Eilat Book By Dec 12, 2019 & Save! We had a great time in Jordan and Israel. Both guides were fabulous! The tours ran like clockwork and were so professional. We are very impressed with Gate 1! It was AMAZING!! We participated in all of the tours, including the optional tours. Every tour was filled with an incredible amount of information as well as beautiful and historical sites. The hotels offered a huge, tasty variety of food for every meal. The best aspect of our tour was our tour guide Henry. His extensive knowledge of history, politics, economics, agriculture, religion and geography kept everyone on our tour captive during his discussions. He also incorporated his personal experiences into everything he talked about which made it even more interesting. He always called us to attention by saying, "My dear friends." We truly felt like his friends. Henry is by far the best tour guide I have ever had in all of my travels. Our 15 Affordable Israel and Jordan was excellent and fantastic- no words to describe. Our kudos and a salute to our tour guide in Israel Simon and driver Bozz did a good job and also to our guide in Jordan, Omar and driver Sasa. They all did there job. I would like to recommend Gate One Travel to all my friends and see you again Gate One in our future travels! Our trip was phenomenal! Our guide, Tal, really made the trip special as he was a local, friendly, personable, and knowledgeable guide. The pace was perfect; the sites were amazing, and the best part was floating in the Dead Sea. We could not have seen so much without such an organized trip. We feel this was an excellent value for our money, and I look forward to future trips with Gate 1! 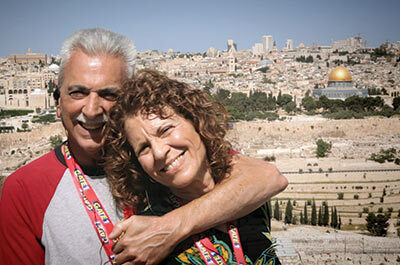 We had a truly wonderful trip to Israel and Jordan. I especially wish to commend our tour guides Henry in Israel and Hazim in Jordan. They were efficient, knowledgeable, and extremely helpful to all in our party. We normally travel independently, planning our own itinerary, but in this case we were reluctant to travel to these two countries without experienced guides. We are very happy we traveled with Gate 1. Once again, Gate 1 does an outstanding job. The trip to Jerusalem (Journey for the Believer) was outstanding. Our guide Sid was great, the information that he was able to present no matter what religion was amazing. The hotels, food, and comfort; everything about it was outstanding. Thank you so much Gate 1, we look forward to our next adventure with you guys. Best trip ever! This trip exceeded my expectations. Our tour guide, Mika, was a wealth of information ... 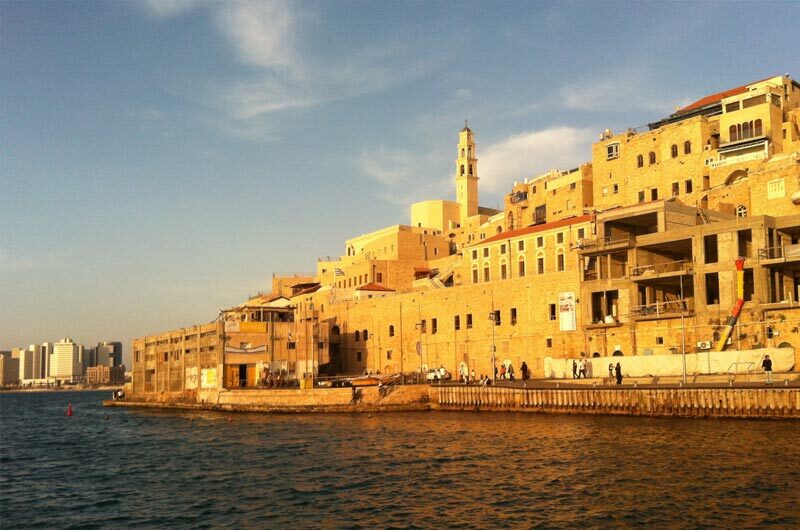 I would encourage anyone who has ever had a desire to go to Israel, GO! It is very safe to travel there and an experience of a lifetime. Our trip was fantastic..every detail of it! The guides were informative, the hotels superb and the food was marvelous. The extras made the trip more interesting. Overall...we give Gate 1 top ratings! Our trip and tours of Israel was amazing. We were very pleased with the experience through Gate 1. Our tour guide Mika was awesome. She was knowledgeable, personable, friendly and patient. She did a great job explaining history and current facts about each location. She was sensitive to the needs of the individuals in the group. We feel we were blessed to have her leading our group. Because of our wonderful experience, we will look to book through Gate 1 again when traveling abroad. We also may check for Mika’s schedule in the future! Thank you! It was absolutely fantastic! More than I could dream of it being. Our guide was so knowledgeable, he really made the trip! Hotels were great and the food was plentiful. The trip was AMAZING!!!! Our tour manager in Israel, Simon, and Omar in Jordan, were extremely knowledgeable. They both really enhanced our Israel and Jordan experience!!! We loved every minute. Our tour guide, Rotem Litov was excellent! He has the historical knowledge and communicated on all levels very well. If we wanted to venture out on our own, he was more than happy to provide suggestions and directions. Our bus driver took great care of us too. The accommodation picks were excellent! I especially loved Mount Zion with the views of the city. I will recommend to all my friends and will also take this tour again. We really enjoyed our trip to Israel. Everything was perfect. We have the best tour guide Gai Perez. Thank you Gate 1. It was one of the best I ever had. Everything was so wonderful. The guide tour guy was exceptional as well as the driver. They were beyond expectation. Every day was so nice that I do not have any particular best day. All days were wonderful. Congratulations Gate 1 I am going to recommended this trip to my friends. Thank you so much Gate 1 for this beautiful trip. Wonderful! Our guide Leor Ilan and our driver Kobi were great! The hotels, food, and excursions were top notch. Thanks for the adventure. It was memorable! My trip was amazing! I loved my trip to Israel and Jordan... it has become my FAVORITE vacation. Our tour guides were excellent and shared a huge amount of history and information with us. I found everything interesting! It was terrific! Gabi was a wonderful guide and managed some quite unpleasant people brilliantly. The tour was excellent and accomodation and food very good throughout. We are looking forward to Russia in October! We have just returned home, the trip was very good. We both enjoyed the trip, it was very well run and the accommodation was excellent. The extra tours were will worth doing. Our guide was very professional and well organised. Our group was 90% from USA and we enjoyed there company and stories. We will definitely look at travel with Gate 1 again. This is my third trip with your company... first: Morocco, Greece/ Turkey.... and of coarse Isreal. Wonderful experience traveling through all the sites, great hotels, great food, and bus driver & wonderful tour guide, Goti.. made it all worth while. Enjoyed the trip very much. Looking forward to trip # four. Wonderful trip. Our guide Henry was absolutely excellent, hotels, transportation and tours were interesting and educational. We are recommending the trip to our friends. Fantastic trip, Excellent guide, unbelievable sites, great food and a terrific value. Looking forward to more travel. Thanks for an experience we will never forget. Fabulous trip. Short but jam packed. Our tour guide Adina was wonderful and presented information from all perspectives: religious, historical and political. Already booked another trip in Sept. to Greece. It was fantastic! The tour was more than I expected, and our guide Uri Mor was super knowledgable, interesting and personable. One of the best trips ever. It was GREAT! The guides were very good. The hotels and food were good. Our group was small and everyone got along great. We would highly recommend this trip! The trip was wonderful! Gate 1 did a wonderful job organizing the trip so my husband and I could relax and enjoy it. Our guide, Rotem, was knowledgeable, friendly, and helpful with planning things during our free time. Rotem always made sure we were taken care of. We look forward to more trips with Gate 1! Our Gate 1 trip to Israel was very good. Ophir, Kobi and Ramsi were excellent guides. They were all knowledgeable, personable and professional. My grandparents are both 80 and they had a blast. This meant a lot to our family and we appreciate all that Gate 1 has done for us. Awesome. Thank y’all so much for a dream come true trip. Been sharing with many who are so excited to find out more about y’all. It was a great trip and provided me with a profound better understanding of the land and history of the holy land as well as of surrounding countries, and our guide was excellent. The trip to Israel was way beyond expectations. The flights, accommodations, food, and the Tour Guide, Elon, was phenomenal! His knowledge, professionalism and personality added to an already special time in The Holy Land. This trip has been on my bucket list for some time, and it was well worth the wait. My trip was absolutely fabulous! I already referred people who want to go to Israel to contact Gate 1 Travel. The thing I loved was I traveled solo and felt safe throughout my trip from start to finish I had no problems with flight, hotels or tours. Everything was as described and Gate 1 kept in contact about my itinerary up to three days before departure with reminders. I am already planning to return to Israel with a trip to Jordan. Thank you for making my trip of a lifetime memorable! It was excellent. Great hotels, excellent guide, VIP service, new bus with expert driver, we liked the very busy itinerary. We received more than our moneys worth. We had a wonderful experience in both Israel and Jordan. 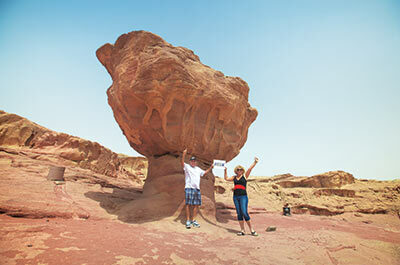 Our tour managers, Anat in Israel and Omar in Jordan are extremely knowledgeable. It was a spiritual and educational experience that we will never forget. Our tour managers gave us a thorough historical, cultural and geo political understanding of their countries. Our accommodations were clean and comfortable. Our buses were also clean and comfortable. Our bus drivers were very polite and helpful when getting on and off the bus. Exceeded all expectations! Five stars! Tour Guide Mati and driver Kobi were outstanding! Our trip to Israel was such an amazing journey. Everything exceeded our expectations. It was truly a pilgrimage that I will be talking about forever. Our trip was wonderful. Both tour guides (Adina in Israel and Faddy in Jordan) were great. Listening to Adina was enjoyable, she's a great story teller, full of knowledge. Faddy had a great sense of humor, lot's of knowledge. Both made our trip special. We've traveled with Gate 1 three times now and never had any problems. We would recommend Gate 1 to anyone. 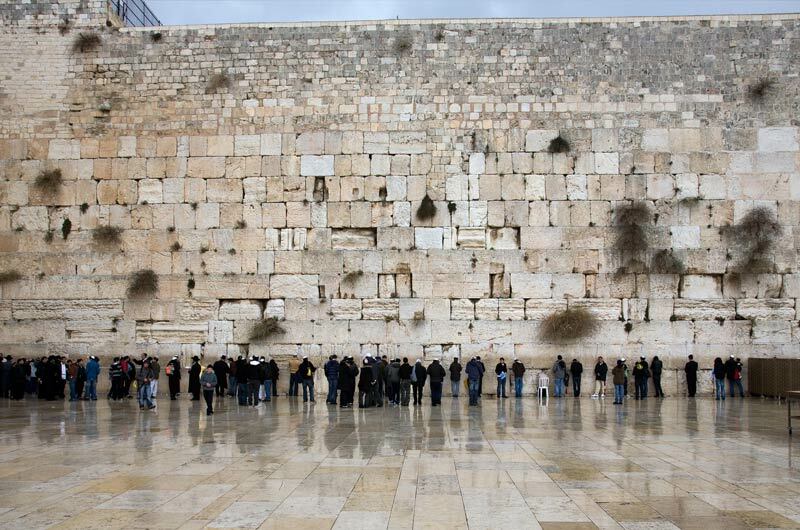 I’d like to thank Gate 1 for my wonderful stay in Israel. The experience was educational, spiritually enriching and fun of course. A lot of the credit goes to our tour guide, Ophir, who was simply amazing. He was very professional and knowledgeable on a lot of topics. He patiently answered questions which I must say were not few. He took very good care of the group and even gave us treats (e.g. fresh pomegranate juice, fresh fig he picked from a fig tree and the tasty halva) and reminded us not to forget our VAT refund . And there was our driver, Kobi, who was always smiling and always happy to welcome us back to his cool bus. Thanks again Gate 1. You’re the best. The trip was awesome! Our tour guide was great. He was extremely knowledgeable and answered any question that he was asked. Our driver was also great. We felt very safe with him driving. Our accommodations were ok. All in all it was a great experience. The trip was fantastic! And the tour manager, Noam, is an exceptional tour manager. His knowledge of Israel is phenomenal and would not hesitate in recommending Gate 1 to our friends and family. The trip was fantastic. It was a lifetime experience. Our group was very diverse & we all became like a family. Simon, our guide was the best. Very knowledgeable, kind & very friendly. We will definitely book with you again & will highly recommend you to our friends & family. It was a trip of a lifetime!!! It was so much fun! All your guides are always wonderful but Kazmin (not sure how to spell his name) in Jordan was beyond exceptional. He had the best sense of humor and made Jordan unforgettable!! I am recommending this trip to everyone I talk to :) Thank you Gate 1 Travel for the wonderful memories!!! FABULOUS!!!! Couldn't have been better! Our tour guide, Simon, was incredible!!!! Thanks so much for making our experience to Israel the most amazing trip!! !